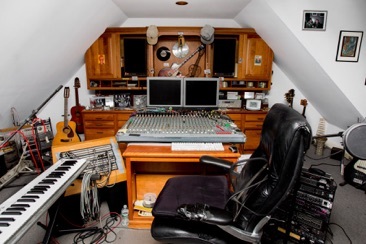 Fresh Tracks Studio is now located in Danbury, Ct. We have set up a project studio for recording sessions mainly for singer songwriters and solo or duo acts. Previously located near downtown Portland, Oregon, Fresh Tracks Studio has been operating since 1980 recording just about every kind of music under the sun. With years of experience we are very familiar with the creative process of making music. Every session is treated with the utmost care and professionalism with the goal of the best results possible. The studio is equipped with high quality microphones captured onto hard-disk format. We are available for mixing multi tracked sessions from other studios as well. 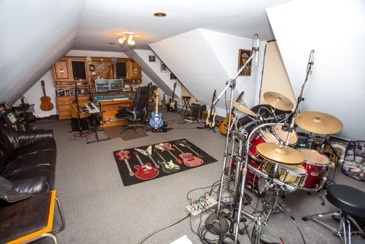 With singer songwriter sessions, we can add drums, bass, and guitar as needed. We've also done many storyteller projects. 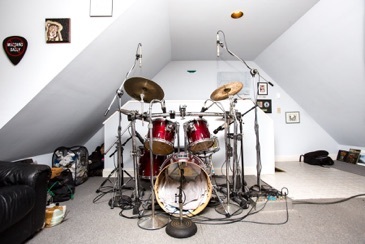 The many types of project we ave done include: Rock, Blues, Jazz, Country, Bluegrass, Irish Folk, Latin, African Drums, Middle Eastern, Contemporary Folk, and Soundtracks for Movies and Live Theater. We have many instruments in house that are available for use such as: Baby Grand Piano, Drum Kit and Various Percussion, Electric Bass, Electric Guitars, Acoustic Steel & Nylon Guitars, Mandolin, Ukulele, and Midi Keyboards & Midi Drums. Years of experience and a love for recording is what you will get at Fresh Tracks Studio. Call or email for details and get a tour of the studio.